Berlin, July 26 (IANS) Argentinian striker Franco Di Santo has agreed on a transfer from Werder Bremen to league rivals Schalke, both Bundesliga sides confirmed. The Royal Blues activated a release clause in the player’s contract who had one year remaining at Weserstadion. The 26-year-old striker, who has marked 17 goals in 49 Bundesliga appearances, has passed the medical and inked a four-year deal that binds him with the "Royal Blues" until June 2019. The former Chelsea and Wigan Athletic forward is their fourth signing of the present summer transfer window. "We are very happy that Franco Di Santo has opted for Schalke. He is exactly the kind of player we were looking for our offence," Schalke's sporting director Horst Heldt told the club's official homepage. Werder Bremen director of sport, Thomas Eichin, was highly critical of the manner of the player’s transfer, especially coming down hard on his agent. 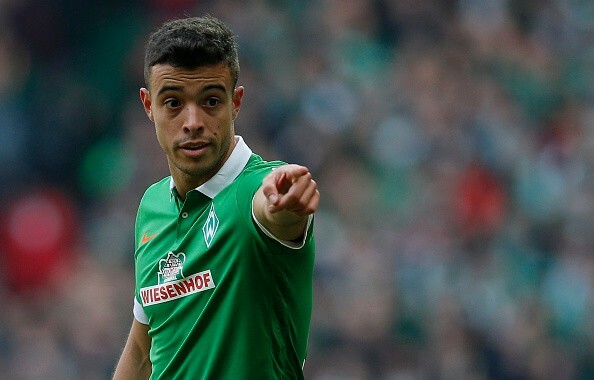 "Franco Di Santo leaves Bremen with immediate effect as he makes use of his release clause," Bremen confirmed in an official statement on Saturday. “It was agreed that he would let us know early on if he would like to stay or not," Eichin told Bremen supporters. “Now everything has happened very, very quickly and I am anything but impressed with this behaviour. We tried very hard to convince him to stay and we really did everything we could." Di Santo is set for a frosty reception on his previous hunting ground as Schalke encounter Werder Bremen in the first round of the Bundesliga on August 15.